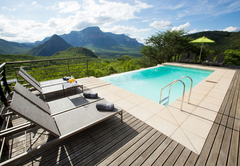 umVangati House is a highly recommended Blyde River Canyon hotel providing accommodation in 5 guest rooms for tourists visiting the Panorama Route region. 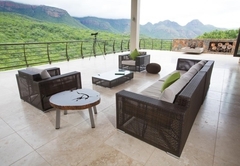 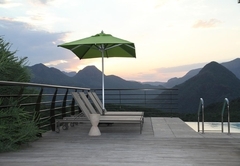 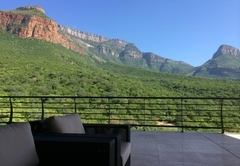 umVangati House can be found at the heart of the Blyde River Canyon, approximately 35km from Hoedspruit. 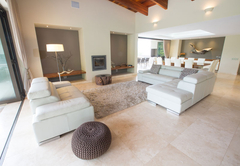 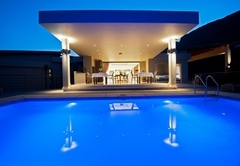 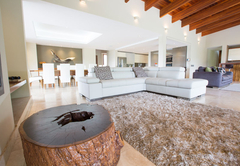 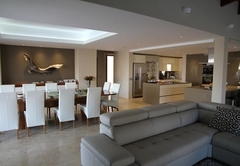 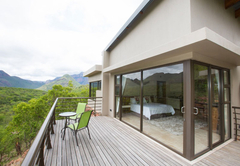 This owner run retreat where you can immerse yourself in luxury with personal service and a friendly environment. 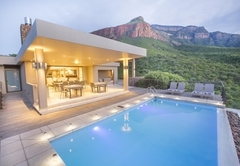 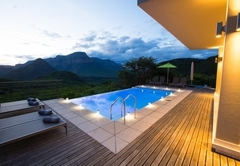 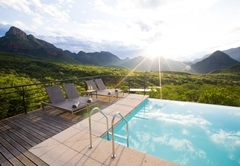 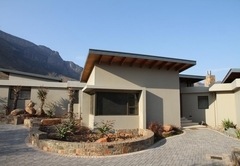 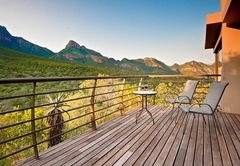 Here you can admire the panoramic views of the African bush and the majestic mountains. 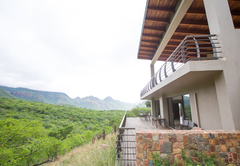 This is the ideal spot to enjoy a peaceful haven while being perfectly located to explore the Panorama Route or visiting the Kruger National Park. 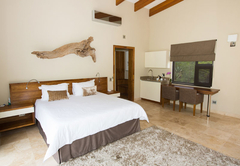 All rooms have a flat screen TV with DStv, a work desk, free Wi-Fi, air-conditioning, mini-bar fridge and tea / coffee making facilities. 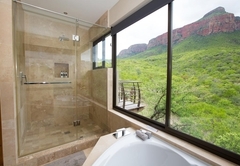 These suites each have an extra length King-size bed and an en-suite bathroom with a double vanity, corner bath and walk-in shower. 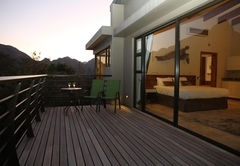 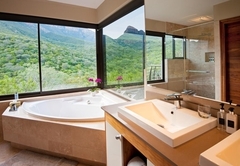 These rooms have a private deck area with lovely views of the mountains and the waterhole often visited by wildlife. 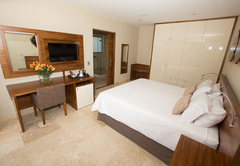 This luxury room has a private entrance and is situated next to the Queen Room at the main building. 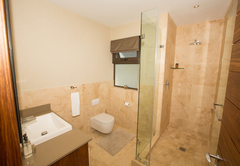 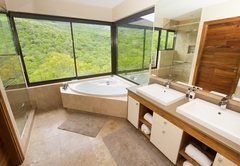 This suite has an extra length King-size bed and an en-suite bathroom with a single vanity, a bath and a walk in shower. 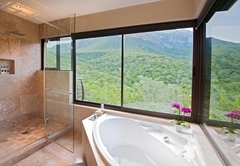 The suite has bush views. 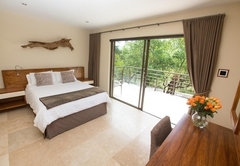 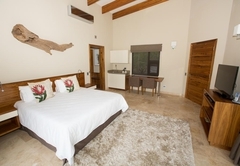 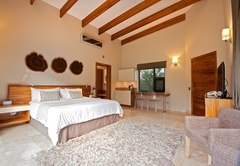 This luxury room has a private entrance and is situated next to the King Room with views of the indigenous bush. 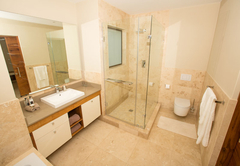 The room has a Queen-size bed and an en-suite bathroom with a single vanity, walk-in shower and luxury bathroom amenities. 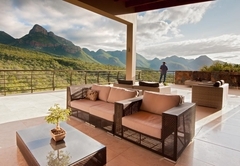 Breakfast is served each morning on the patio of the main house where you can dine with a view. 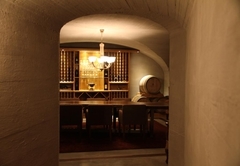 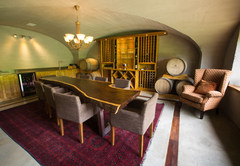 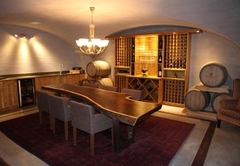 We also have a private wine cellar available on request for romantic dinners. 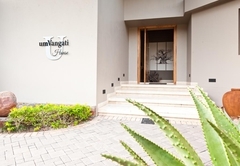 Response timeumVangati House typically responds to requests in 5-10 minutes.